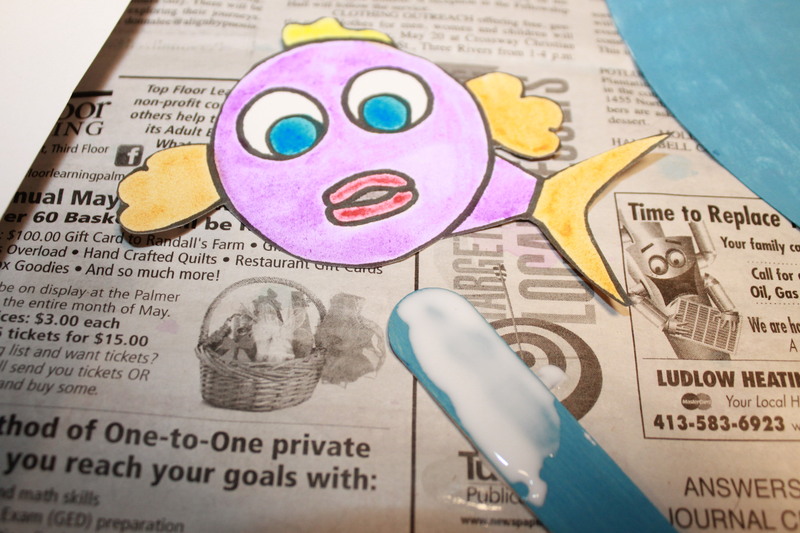 Print out your free Fish Template or draw your own fish design onto a piece of watercolor paper or cardstock. If you are using watercolor paint on your fish, we recommend using watercolor paper. Cut a small section off the top of a paper plate and set it aside for later. Paint the paper plate and the craft stick in a shade of blue. While the plate is drying, paint or color your fish. Use a craft knife to cut a slice into the plate about 1/3 up from the bottom. An adult should do this part. 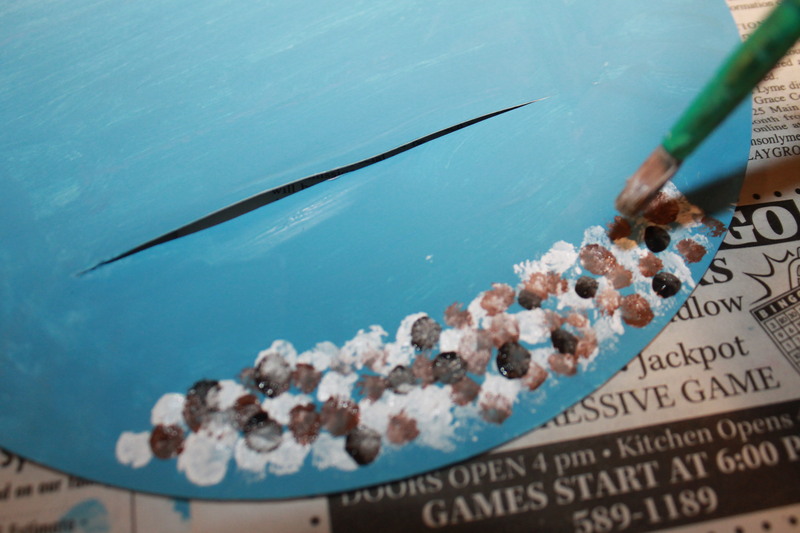 Use a Q-tip or the tip of a round brush and dot rocks onto the bottom of your paper plate fishbowl using acrylic paint. 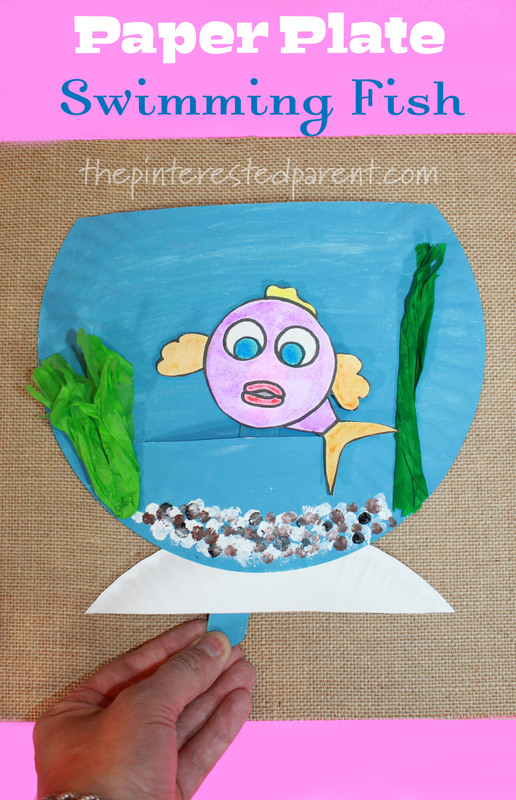 Grab the cut piece of the paper plate and glue it to the back of your fish bowl with the flat side down. We used a piece of tape to hold the pieces together as well. 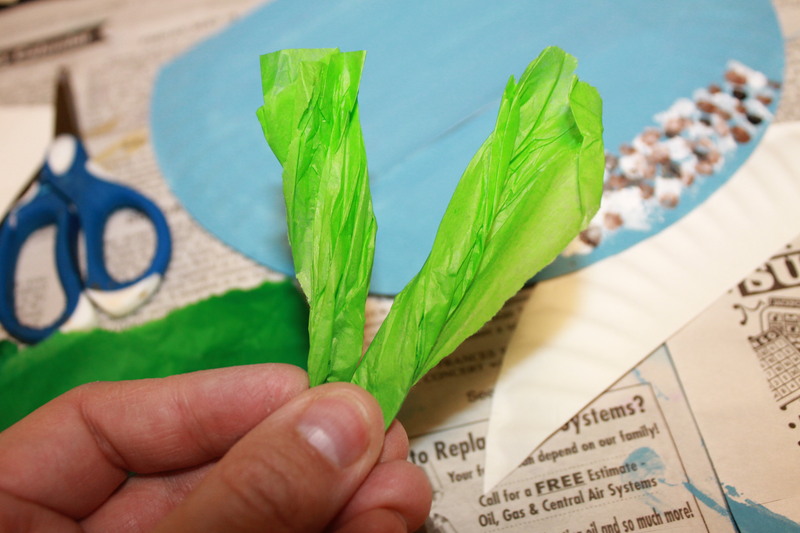 Cut a thin strip of green tissue paper and twist it and then fold it in half. Snip or tear the edges slightly. Glue this to the paper plate on one side of the slit. This will be your seaweed. Add another piece of tissue on the other end as well. Cut the fish out and glue it to the end of the craft stick. Let the glue dry and then slide the end of the stick into the slit in the plate. Move your fish around and watch him or her swim away.